Me- "Yes I am. I am located in 68005. Do the manifold or mid pipes have any issues with them I would need to address? Any hardware I need to get? 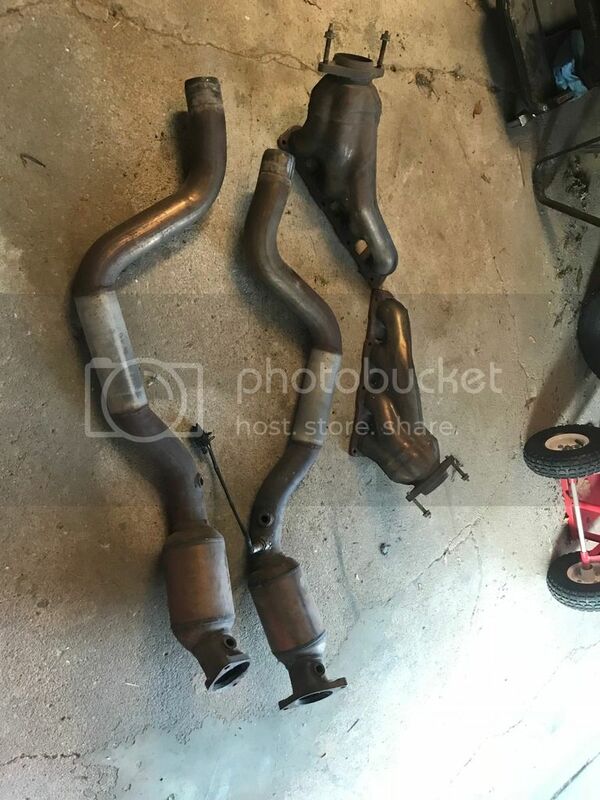 I don't remember what you had the prices at individually but if I get them both would you take $400 shipped for the SRT Intake Manifolds and Mid-pipes?" Seller- "I'd sell them for $400 shipped. For sure you will need the manifold gaskets and possibly the manifold bolts. It has the nuts for the mids to bolt to the manifolds, and the wide band sensor. I'll throw the manifold bolts in just incase you can reuse them. I won't be able to ship them until monday." I'm wayyy out of practice with this stuff so forgive me for the lack of good details, I will answer any and all questions as timely as possible about the items. I don't know what shipping was, but I'm in the Omaha, NE area (zip code 68005 specifically) if you would need shipping, I can get quotes. Asking $325 Obo + shipping if needed. Can meet reasonable distance. Last edited by Mitag3; 07-12-2018 at 08:09 AM. Bump. Price drop $275 plus shipping.